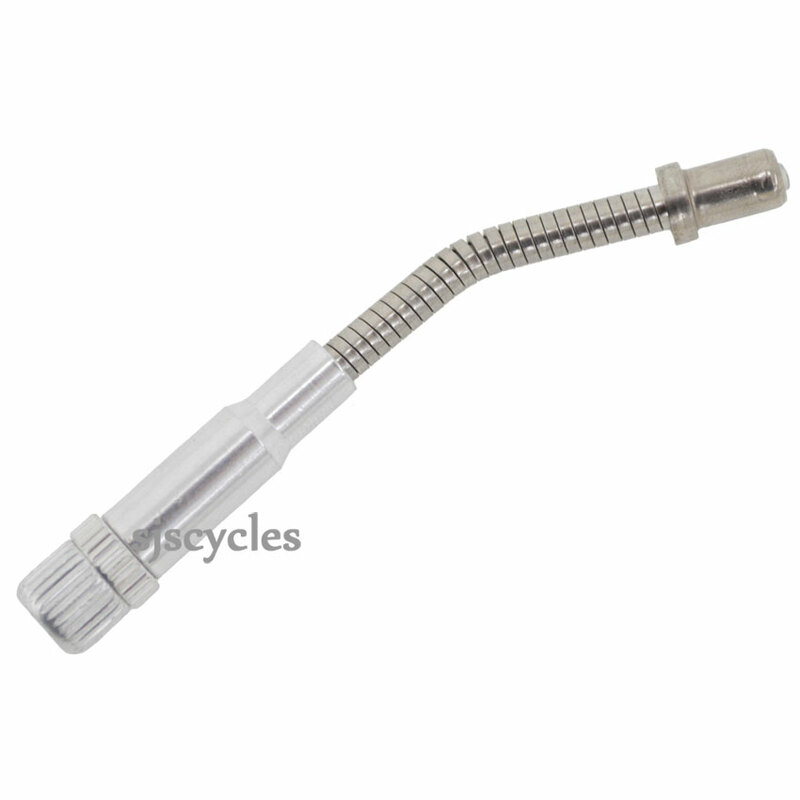 Short flexy outer cable with built in adjuster. Hello, how big is the diameter of the non-adjustable side? I wonder if it would fit inside a standard 5mm brake cable house cap for a custom project. The end of the noodle is not an open hole, only open enough to allow a 2mm cable to pass through, it is designed to fit into a V brake. Does This Just Replace The Pipe On V-Brakes? Thanks. This does indeed just replace the standard pipe supplied with most V-brakes. Is This The Same One As The Tektro Flexible Cable Guide? Can it be used on this brake? These are very similar to the Tektro original ones, so can be used as a suitable replacement for use with that brake.